Fixes NPC character physics (hair, fur, clothing, medallions, weapons, etc.) when playing at 60fps. Physics only work correctly at 30fps. This mod fixes this issue. 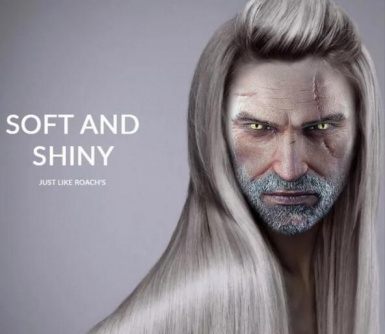 I made this to counteract an issue in The Witcher 3 where the physics on dangling objects on characters and enemies (such as hair, fur, necklaces, medallions, etc.) only work correctly at 30fps. This mod corrects the issue. 1.) This mod is meant to be used together with my E3 Geralt Hair Physics 60FPS FIX﻿, which fixes Geralt's hair physics when playing at 60fps, but you can of course also pick and choose and use my mods independently of each other. 2.) The mod is meant for ~60fps. --> Hair on all NPSs in the game (main/secondary/common). It's most noticable on NPCs with long hair such as Priscilla. --> All dangling objects on all characters, enemies and entities, meaning necklaces, medallions, weapons, saddles, saddlebags, etc. All dangling objects ( ͡° ͜ʖ ͡°) on NPCs and on Geralt's armors will now move properly. Geralt's wolf medallion will move more. Any necklaces or medallions, bells, daggers, whatever an NPC is wearing - will respond to movement better. NPC Hair will move and bounce more beautifully. Installation: Extract with winrar, then drop "modPhysicsForAll" into your mods folder (or install with Witcher 3 Mod Manager). 1.) My other mod (E3 Geralt Hair Physics 60FPS FIX) will conflict with this mod, but it doesn't matter. They will work just fine together no matter which one has priority. 2.) If you're using the "Animal and Monsters Wind Enhancement" mod by zultre, give that mod priority over mine. 3.) If you're using "modTrissDLCHair" (the clipping fix) by Feregorn, give my mod priority to benefit from both mods. Please make sure to report any bugs you may encounter using the bug report function! Because of the somewhat experimental nature of this mod, there's probably gonna be multiple fixed/updated versions over time. I apologize for that but there's really no other way of fixing it short of me spending an unholy amount of time and effort testing.